It has been the pleasure of the Ironbound Ambulance Squad to serve the Newark Community since 1952. 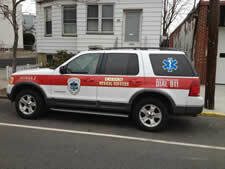 IAS was started to decrease response times to emergency calls in the Ironbound area. As a self-sufficient entity, IAS has become a vital public safety organization serving the Newark community. The organization receives no federal or municipal funding and is supported by generous donations from community members and local businesses. Recently, IAS was informed that the EMS dispatch system, the Regional Emergency Medical Communication System (REMCS) would no longer be used within the City of Newark. This system located at the University of Medicine and Dentistry of New Jersey will be phased out and will no longer be in use by the end of 2019. The system that will replace it, is the New Jersey Interoperability Communications System (NJICS). With the change to the new system, the Ironbound Ambulance Squad would be required to purchase new radios that receive the signal from the new system. As many of you might know, system upgrades or transfers can be expensive. With that said, we are grateful and pleased to announce that we have received a large donation from Councilman Augusto Amador which will allow us to complete this monumental task. We would like to take the opportunity to thank Councilman Amador for his generosity, which allows us to continue providing emergency assistance to Newark’s community. The 2014 Race for the Cure will be taking place on Sunday, May 4 at the Essex County South Mountain Recreation Complex in West Orange. The New Jersey Emergency Medical Services Council in collaboration with the New Jersey Department of Health and Senior Services, Office of Emergency Medical Services recently held its annual EMS Awards Dinner in Atlantic City. Two Emergency Medical Technicians won the "Outstanding Call of the Year" category for saving a girl that was abducted from New York City. A brand new application page on our website now makes it easier than ever to become a team member of Ironbound Ambulance Squad. By clicking through to the new application page you will be able to enter all of the information we need to begin considering you for employment or volunteer membership with our esteemed organization. The application home page explains the process while links in the sidebar bring you to the application for either employment or volunteer work with IAS. Be a part of one of the largest EMS systems in the nation and help your local community to be an even safer, more vibrant place to live. 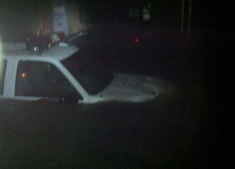 On October 29th, 2012, as Hurricane Sandy devastated the city of Newark and surrounding areas, IAS Mobile Truck – 1 was lost in flood water as Ironbound Ambulance Squad Vice President Luis Carvalho was performing preliminary evacuations in his flooded neighborhood. Please donate to this great cause and help Team Muse reach their goal! 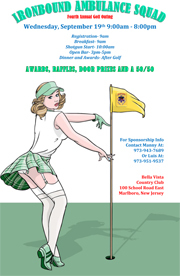 We welcome you to our fourth annual Golf Outing hosted by the Ironbound Ambulance Squad of Newark, NJ. 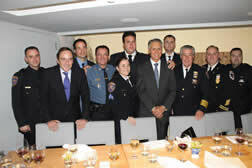 President of the Ironbound Ambulance Squad, Manny Oliveira Meets the President of Portugal Fall 2011. The 2012 Race for the Cure will be taking place on Sunday, May 6 at the Essex County South Mountain Recreation Complex in West Orange. 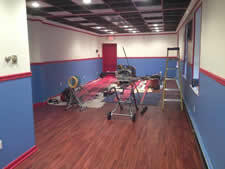 Starting April 2012 Ironbound Ambulance Squad will be hosting CPR/AED classes. We welcome you to our third annual Golf Outing hosted by the Ironbound Ambulance Squad of Newark, NJ. Join us to raise money for cancer! 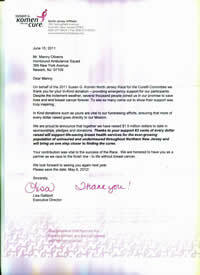 On behalf of the 2011 Susan G. Komen North Jersey Race for the Cure Committee we thank you for your kind In-Kind donation - providing emergency support for our participents. Ironbound Ambulance Squad will be providing emergency medical services for this great cause. Our main goal is to provide treatment to those in need of urgent medical care, with the goal of satisfactorily treating the presenting conditions, or arranging for timely removal of the patient to the next point of definitive care.